Whaaat? You are one business savvy businessman and you haven’t even heard of SEO and yet live and operate in a digital age in the era of computers? You’re a dinosaur, really you are! SEO or Search Engine Optimization is a process that helps drive your company’s digital marketing forward and helps increase your leads and sales by placing your business on the digital map. SEO strategies help drive visibility and traffic for your company. All search engines such as Google, Bing and Yahoo have primary search results, where web pages and other content such as videos are presented and ranked based on what the current search engine considers most relevant to net users. In case you don’t know CMSIT is a leading provider of IT Services and Solutions all over Australia whose expertise includes Information Technology Support for Network, Server and Desktop, Procurement Services, Helpdesk and Remote Support, Onsite Support and Troubleshooting, Cloud Infrastructure, Virtualization, Unified Threat Management, Disaster Recovery services and more. Since today’s more informed businesses rely on the Web for much of their business presence and sales, a professional SEO service provider will certainly do the trick to get you ahead where the action is. First off, you should have a well-designed, user-friendly web site that is search engine optimized. Frankly speaking, this is one of the most important investments every company can make in today’s digital age. Without an online presence with a fully functioning website that helps your customer’s needs how will they find you, get in touch with you to place orders and pay for your products online? 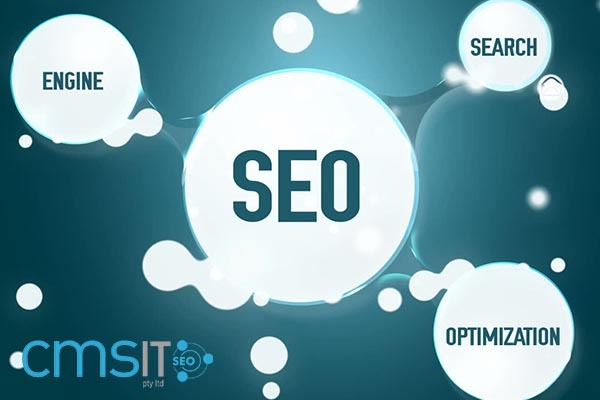 CMSIT helps to increase your online leads by helping customers search and find you through its Search Engine Optimization (SEO) support services which we will provide your company’s website with the kind of exposure it deserves on Google search. We offer proven SEO strategies to drive company visibility and traffic for your company. There’s Organic Search Marketing which is a Non-paid Google search processes which obtains natural placement on organic search engine result pages. Our experienced team will carry out an assessment of your website and product/service offering and position into place a strategy which aims to naturally rank your website in the 1st page of Google search. Social Media Management, since social media is now a part of everyone’s life, the same goes for businesses. Social Media does not simply drive business to your website but it helps build brand presence and create stronger and longer lasting relationship with customers and is able to target particular groups in specific locations to get tangible customer insight. Paid Search Marketing is the best option for immediate results. By investing in Google Adwords, CMSIT will manage, handle and maintain your account so that your Google ads will give you the best rate of return. Reports will be provided so you can monitor where your money is spent. Web Design is where we try to combine SEO and Design so that your Apps is configured for both desktop and mobile devices. Our SEO experience will leave you worry-free. So far, the brand of SEO Services we provided has gotten our clients seen and be ranked online by the various important search engines.